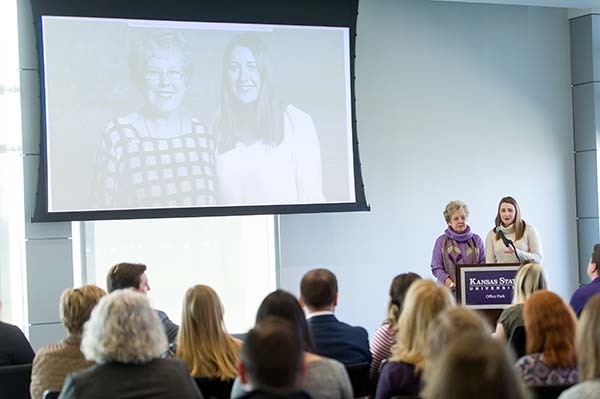 The KSU Foundation was excited to host Trustee Diane Patrick, a 1970 graduate in political science, and her Student Foundation mentee, Tori Thomas, a junior in biological systems engineering and Spanish, at our January All-Staff meeting. The pair shared the story of their incredible mentor/mentee relationship. We will share their story and more at the Spring Meeting of the KSU Foundation Board of Trustees on Friday, April 20!